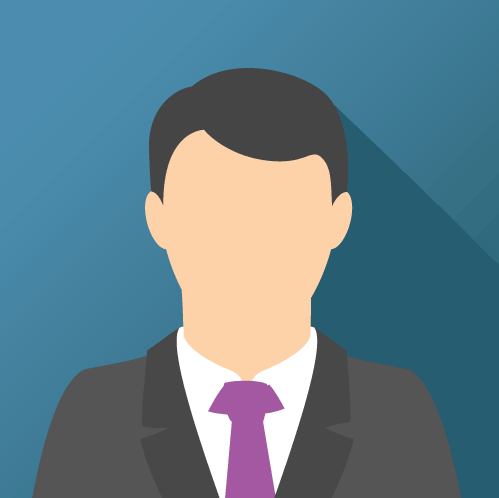 Skoda is one of the group companies of Volkswagen Group, besides Audi and of course VW itself. Whereas in European countries, VW is the flagship brand, we may say that in India, the Skoda is the most prominent. The company marks its strong presence in India with one of its most popular models, Skoda Octavia. It also has its premium hatchback model, Skoda Fabia, which has been quite successful as well. 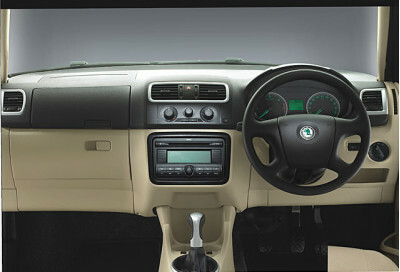 The car is the first small car in India from Skoda and is based on Volkswagen platform. It offers a good driving experience, great levels of refinement and versatility. For all those, who love to spend on a little luxury with fantastic driving experience, Skoda Fabia is the most favorable choice. It readily offers durability, practicality with a style and difference. The existing models of Skoda Fabia are available in petrol as well as diesel models. It offers a very smooth drive on the highways with its 1.4L MPI petrol engine which is capable of delivering a maximum power of 85 bhp and 132 Nm of maximum torque. The 1.4L TDI engine delivers a maximum power of 68 bhp at 4000 rpm and a maximum torque of 155nm at 1600-2800rpm. Fabia diesel engine offers a fuel economy of 14.1 kmpl in the city and 18.5 kmpl on the highways. The 1.4L MPI engine delivers 11.6 kmpl in the city and 14.93 kmpl on the highways. Skoda Fabia is available in six attractive colours: Corrida Red, Satin Grey, Brilliant Silver, Magic Black, Candy White and Cappuccino beige. The overall look is definitely cute and cheeky. The model has curves at the right place to give it a bold and beautiful look. It offers a perfect blend of aesthetics that is soothing to the onlooker. The car is very spacious from inside. For a hatchback, it definitely offers a lot of room inside and can be safely called as “the largest of small cars”. The seats are not only comfortable but they also offer height adjustment to the passengers. 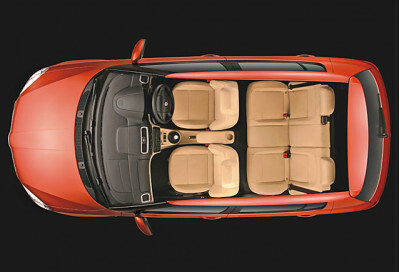 The leg space for the rear passengers is definitely more than that offered in Swift or Getz. 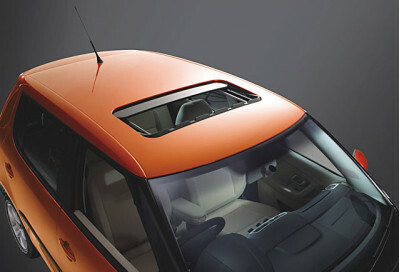 The small knob near the AC controls is available for the overall climate control of the car. The steering has its own meaty feeling that is generally absent in small cars. It offers a firm ride and handles well around the corners. 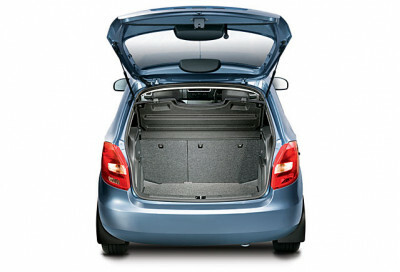 The boot space is also considerably large for a small car or a hatchback model. It can easily put the boot space of Hyundai Santro to shame. The car comes with all the safety features and convenience features like dual air bags, remote keyless entry, one touch lock-unlock, electronically adjustable and heated outside rear view mirrors, and front and rear power windows, graphic display CD/MP3 players. Skoda is planning to launch Skoda Fabia Combi and Skoda Fabia Sports models in India this year. It will also launch Yeti and Skoda Laura in the country in the SUV and the sedan segment respectively. While the proposed Fabia Sports model will carry a tag of Rs 10 lakh, the Fabia Combi is expected to be built on parent company Volkswagen’s B6 platform. We expect the price of the Combi models too to be around that same level. The specifications for Skoda Fabia Sports models still remain unknown. The company will decide the final price and features of both the Fabia models when it actually launches them in the country.